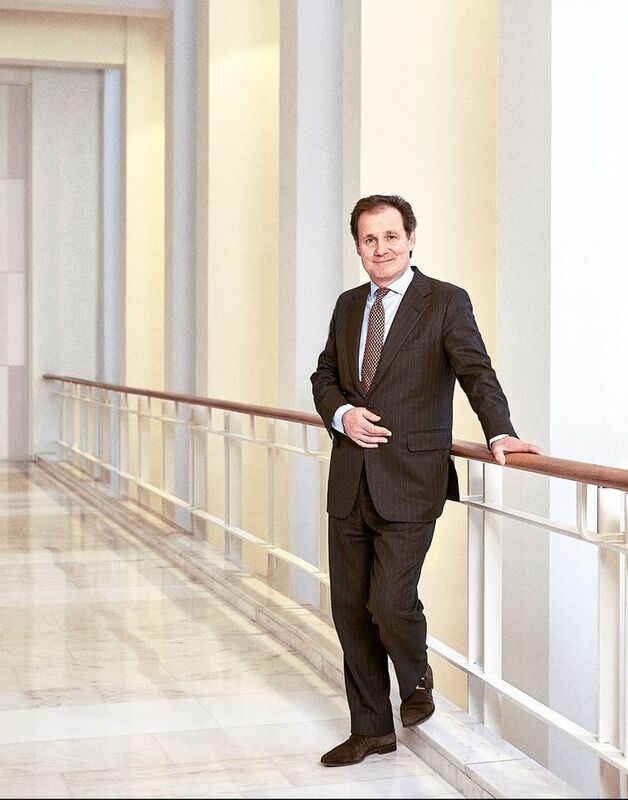 There was not a huge amount of fanfare when Nanne Dekking was named as chairman of Tefaf’s board last year—possibly because it was announced in the summer months, when the art market takes a break. But the quiet appointment of this New York-based, Netherlands-born entrepreneur—previously at Sotheby’s and art dealers Wildenstein & Co—may be one of the most daring decisions the fair has made. Dekking spoke to The Art Newspaper about his vision for Tefaf and the inroads he is making towards bringing transparency to the market through his blockchain-based business, Artory. The Art Newspaper: Your predecessor at Tefaf, Willem van Roijen, described you as a “supporter of change”. What did he mean by that? Nanne Dekking: I often quote the line from The Leopard [a novel by Giuseppe Tomasi di Lampedusa]: “For things to remain the same, everything must change.” I firmly believe in art fairs; they are the only way for dealers to replicate the pressured environment of an auction that leads buyers to make a decision. But fairs now have to think again. Auction houses are phenomenal marketing machines and are harnessing technology; we need to compete effectively. Right now, only around 2% of millennials buy art, so let’s start there to grow the market. We can compete by expanding the marketplace through transparency. People need to have full information to persuade them to buy, so give it to them—everyone is tired of these [forgery] scandals. It is an illusion for any art fair exhibitor to believe what they are showing is not part of their public inventory. There needs to be less secrecy about everything. And let’s concentrate on the majority of items on the market, which are priced under $50,000. People need to have full information to persuade them to buy, so give it to them—everyone is tired of these [forgery] scandals. What does Tefaf mean to you? I love Tefaf. I’m Dutch, I’m an art historian and I’m 57—I think I’ve been to every edition. I particularly love the bandwidth of its offering, it is fun to learn about things you don’t know anything about. Like snuff boxes: what do I know about snuff boxes? There is so much expertise around. What opportunities do you see for the fairs? I’m very much in favour of the New York fairs and think that the next one will be fantastic [Tefaf New York Spring, 4-8 May]. They should shout louder about their high standard of vetting. Around 190 people, mostly scholars and curators, go through and look at all the objects. We could make more of that. Generally, I want to push the organisation into the new world and explain to the Tefaf community that things are changing rapidly. We all need to be more open about everything. Changing attitudes isn’t easy, and there’s a big fear about sharing data, but I think that dealers are starting to recognise the opportunities themselves. Where does Artory fit in to this? How did it come about? Artory is creating an independent register that uses blockchain technology to store unalterable data about works of art. It’s basically a way to create a digital back of the picture. And no one can change or forge the ‘labels’. It came about through Hasso Plattner [co-founder of the European software corporation SAP], who was a long-time client. As he built his own collection, he recognised the need for transparency in the art world. He is a big supporter of Artory and its register. When can we expect to see Artory’s register get going? It is ready and several major market players are eager to partner. The next phase is a campaign to explain the registry to buyers, art lovers and other art professionals. I will have more news soon.